Don’t leave your leads cold on a static Thank You page or ask them to wait on hold. Instead welcome them into your Interactive Warming Hut and meet them at their point of need. 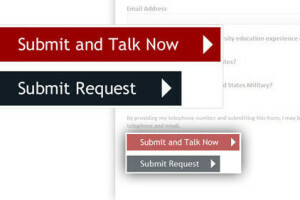 Keep prospects and customers engaged after submitting your request information form while the phone calls are connected with custom Engagement, Talk Now and Schedule A Call widgets. Customer Acquisition: Identify and qualify prospects who are ready-to-talk on online forms, thank you pages, shopping carts, emails and anywhere else your customers may need to speak with you. 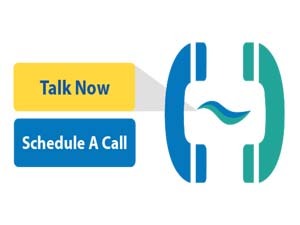 Connect them on the phone with your best available representative in a fully trackable transaction. Customer Service: Allow your members and customers to speak directly with the best person (anywhere in the world) to serve them based on the current product page, web site or a specific need requested on a form. Click these buttons to pop a CallerReady hosted form that will take the appropriate action upon hitting the Continue button after you complete the lead form. The lead will see be engaged in an interactive warming hut that prompts them to either Talk Now, complete the call, or Schedule-A-Call. You can test posts into your CallerReady system to test call experience and call/lead routing workflow, office hours, etc. Access same functionality from your own lead forms: you can also access the same widgets and user experience using our API. Prospect will see the Engagement Widget with Talk Now and Schedule-A-Call options after completing the lead form. This example shows a custom image on the left but frequently this is a video spokesperson educating the visitor about the desired response option. Prospect will see the Talk Now widget with Call Status Monitor after completing the lead form unless it is after Office Hours for the day in which case user will see the Schedule A Call Widget. Prospect will see the Schedule Widget after completing the lead form.